New Release of Singles and Semis at Upper Unionville in Markham! Even though the weather dropped to -20 degrees celsius last night, people slept in their cars to be amongst the first to view the new release at Upper Unionville in Markham! Not only did people stay overnight, cars starting rolling in Thursday night! We can’t say that we’re surprised. 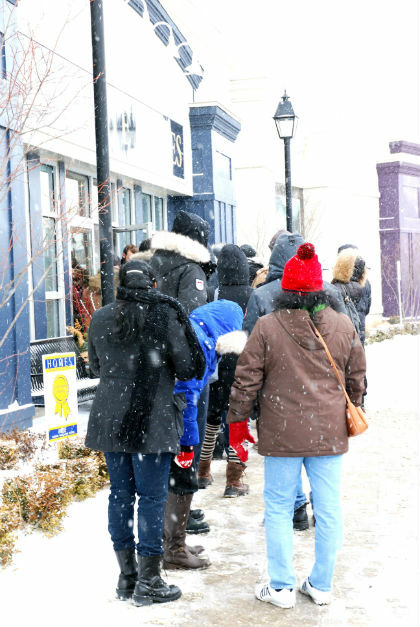 When we first started the appointment process at Upper Unionville back in 2012, hundreds of people showed up! 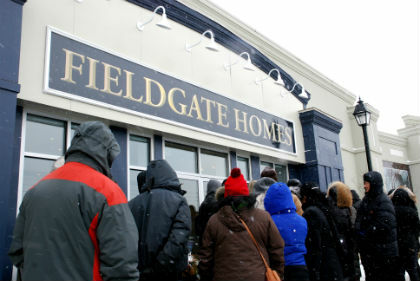 For today’s release in Markham, Fieldgate is offering 38’ and 42’ singles, as well as 25’ semis. We only have 18 lots available! 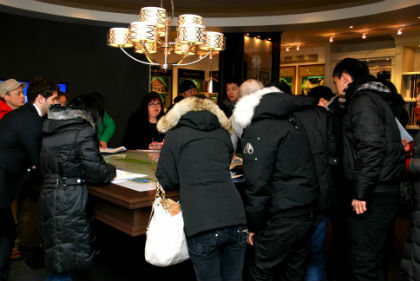 The Upper Unionville sales office is located at Kennedy and 16th Avenue in Markham. We’re open until 6pm today. Please call 905-477-6464 if you have any questions.